Although Goliathcasino Accepts Visa, MasterCard and Discover some banks prohibit their cardholders from making transactions with Lottery websites. The Credit companies put restrictions on the amount of money you can deposit to your Goliathcasino Account. For this reason, we recommend you to open an alternative payment method for your transactions. At the first time using your Card at Goliathcasino you will have to enter your Card details*. 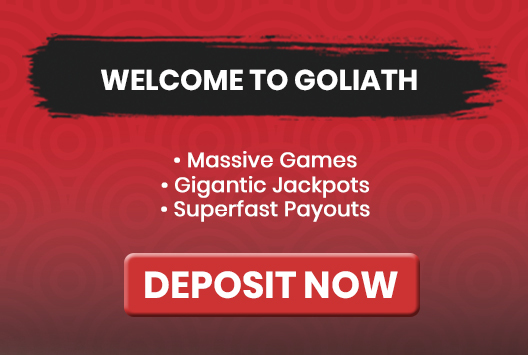 Enter the amount you wish to deposit to your Goliathcasino Account.